Recently, VG Chartz released the current numbers behind Call Of Duty: Infinite Warfare’s pre-orders—and the results are not good. But if the franchise is doing this bad so early in the game, what does that mean for the game itself? The results of the pre-orders were recorded as of May 14 this year. You can see in the picture below that pre-orders for the Xbox One barely made it over 30,000 while the PS4 stands at just a tad over 33,000. But in the next picture, you can see the pre-order results for Call Of Duty: Black Ops III at the same time from announcing, Xbox One reaching 423,000 and PS4 hitting 287,500. These estimates are highly inaccurate and are not at all representative of actual retail data. We've announced that pre-orders started strong, and continue to be very positive. And we look forward to sharing new gameplay next week at E3. I’m sure there are some inaccuracies, but certainly not a 200,000 to 300,000 difference that can match how well Call Of Duty: Black Ops III was doing. Even if the numbers are somewhat inaccurate, it’s still pretty damn low. When Call Of Duty: Infinite Warfare’s reveal trailer released, the response from fans was pretty negative, making it the second most disliked video on YouTube under Justin Beiber. It had garnered millions of dislikes. So it’s really no surprise that Activision may be seeing the results of this backlash in their pre-order numbers. I’m sure Activision has already devised a marketing plan to try to turn things around for E3 and for their sake, I’m hoping it works. I’ve always respected Battlefield more than Call Of Duty, but I love to play both games. I really don’t have a quarrel with either for each has its own kind of thing I enjoy. We had many people comment on our Facebook page that Call Of Duty: Infinite Warfare would be the end of the Call Of Duty series because of how bad it looked. Fans were pissed. I’m still confident people will still buy Call Of Duty. 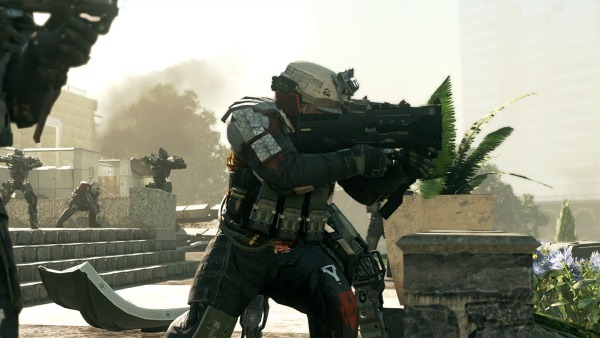 It might not do the best, but fans will still buy the game, because it’s Call Of Duty. I can’t imagine a world without Call Of Duty, can you? Activision Blizzard won’t have a booth E3 this year and has not, at this time, scheduled any kind of press conference, but I’m sure they’ll have something planned to promote Call Of Duty. If you want to see the numbers on VG Charts, you can visit their site.